The Bahamas dazzle visitors with their pristine beaches, crystal clear waters, and breathtaking islands, and there's something for everybody to enjoy in this world-famous archipelago. This long string of picturesque islands has long been one of the most popular beach destinations in the world thanks to its array of beautiful, diverse islands. Compose of more than 700 islands, the Bahamas has something to offer every type of visitor, and you're sure to enjoy every moment of your stay in the Bahamas when you work with Vacatia to book your accommodations. 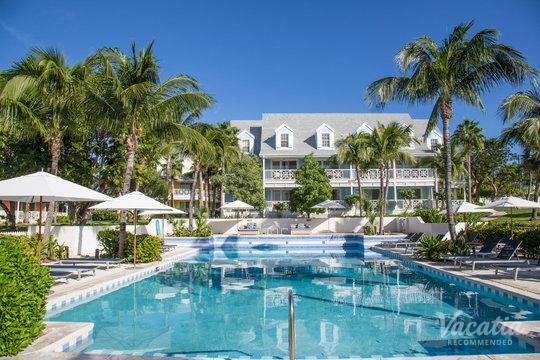 If you want to indulge in luxury and comfort during your upcoming Bahamas getaway, you should book your stay at one of the best Bahamas four-star resorts through Vacatia. There are a number of Bahamas 4-star resorts to choose from when planning your tropical escape, and Vacatia can help simplify your planning process by narrowing down the selection so that you find the perfect vacation rental for your trip. Embrace the laidback Bahamian island lifestyle by staying at one of Vacatia's premier vacation rentals. The Bahamas is awash in natural beauty, which is why these islands and cays are widely considered the epitome of paradise. This collection of islands is home to great boating, snorkeling and diving, and entertainment, so you'll never be bored during your time in the Bahamas. 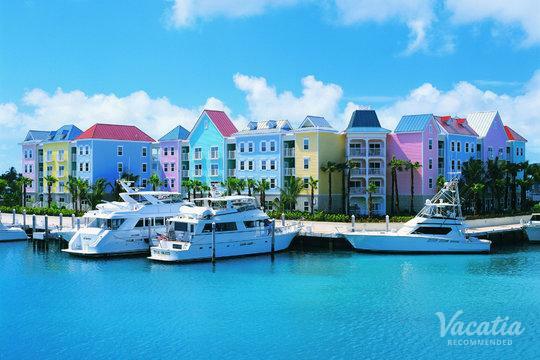 If you want to make the most of your Bahamas vacation, you should rely on Vacatia to book your stay at one of the best 4 star condos Bahamas have to offer. When you stay at a Vacatia rental property, you will have access to your own fully equipped kitchen and added living area as well as the desired services and amenities of a resort. Vacatia's "resort residences" combine the comforts of home with the luxuries of a resort, so you'll be able to experience the best of both worlds during your Bahamas vacation. 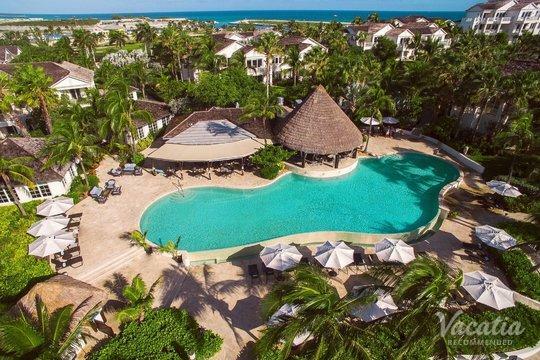 Rather than staying at one of the four star hotels Bahamas, let Vacatia find you a four-star resort residence that perfectly meets all of your needs so that you can create lasting memories during your island getaway. The Bahamas consists of thousands of islands and cays, each of which is different in its own unique way. 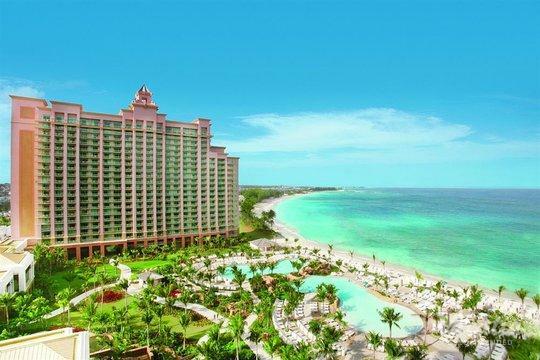 Whether you want to lounge on a breathtaking pink sand beach, experience world-class snorkeling, or partake in the excitement at one of the best casinos in the islands, you're sure to find exactly what you're looking for in the Bahamas. These beautiful islands and cays will continue to surprise and excite you, and you can further elevate the quality of your vacation by booking your accommodations through Vacatia. 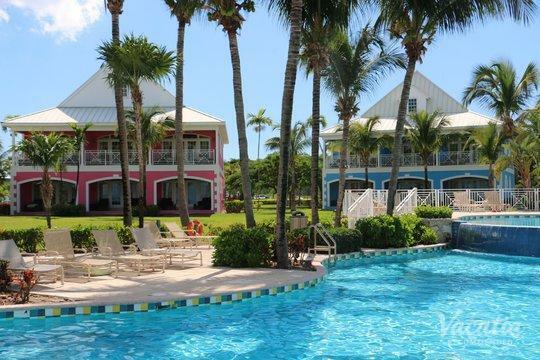 There's plenty of adventure and relaxation to be had in the Bahamas, and Vacatia can help you have an unforgettable vacation in the Bahamas by providing you with an exceptional vacation rental. Once you have a terrific resort residence in the Bahamas, you can spend your time soaking up the Bahamian sun and embracing all that the islands have to offer.